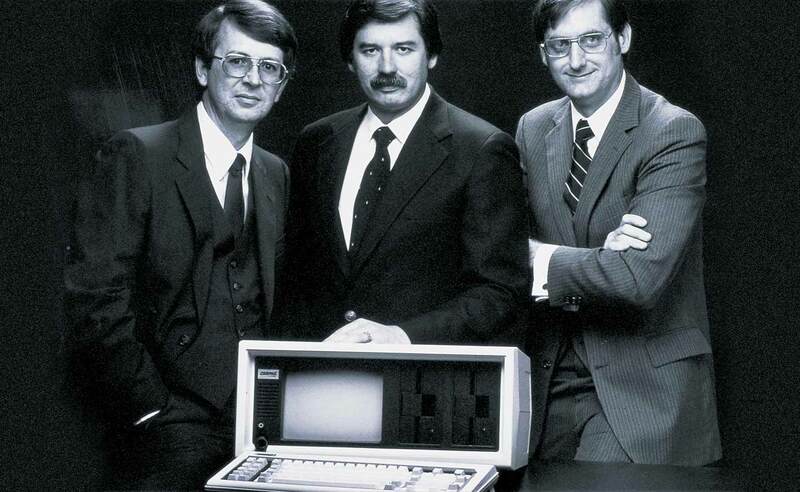 Compaq was founded in 1982 by three former Texas Instrument engineers, Rod Canion, Bill Murto and Jim Harris. They had considered founding a Mexican restaurant (and then a hard disk drive) but ultimately decided to develop a new line of IBM personal computers that were portable, 100% compatible, but with better features and performance than other IBM clones on the market. The new venture capital firm of Sevin Rosen, approached Kleiner Perkins to co-invest in the fledgling company. John Doerr, who had recently joined Kleiner Perkins from Intel where he had been working on a portable computer, loved the idea and we agreed to invest in Compaq. An important early step for Kleiner Perkins was to help the company recruit former IBMer Sparky Sparks as head of Sales and Marketing. Sparky had made many dealers across America wealthy by awarding them IBM franchises and knew how to work with the channel. He and Canion decided to sell only through dealers versus building a direct sales program and gave dealers control over pricing to foster loyalty. They also made the call not to bundle software with the Compaq PC dismissing the tactic as a marketing gimmick. The dealer strategy worked and in its first full year of operations. Compaq sold 53,000 PCs generating $111m in sales, a record at the time in the technology sector. The company went public in 1983 and raised $67 million. In 1987, Compaq hit the $1 billion revenue mark, doing so faster than any other company in history. Kleiner Perkins continued to play a role at Compaq for many years post IPO. Tom Perkins, a board director at Compaq, was instrumental in helping the company buy Tandem Computers in 1997 to enter the higher end business computing market. (Kleiner had invested in Tandem in 1975.) Tom also played a role in arranging for HP to acquire Compaq in 2002, when the company had failed to recover from the dot.com bust following a long struggle against lower-cost competitors. Today HP is one of the most recognizable brands in Personal Systems.